In the disheartening video, Agobaye, who sat in front of the Rivers State government house said he has been to so many places including churches for help but nothing tangible has come out from them. 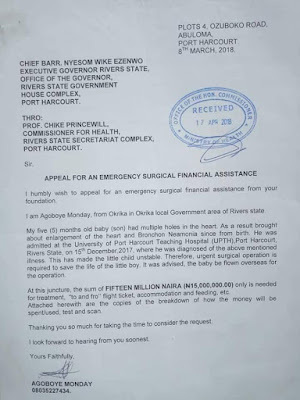 According to Agoboye, his son, Beniah has many holes in his heart and needs about N15 million for surgery. 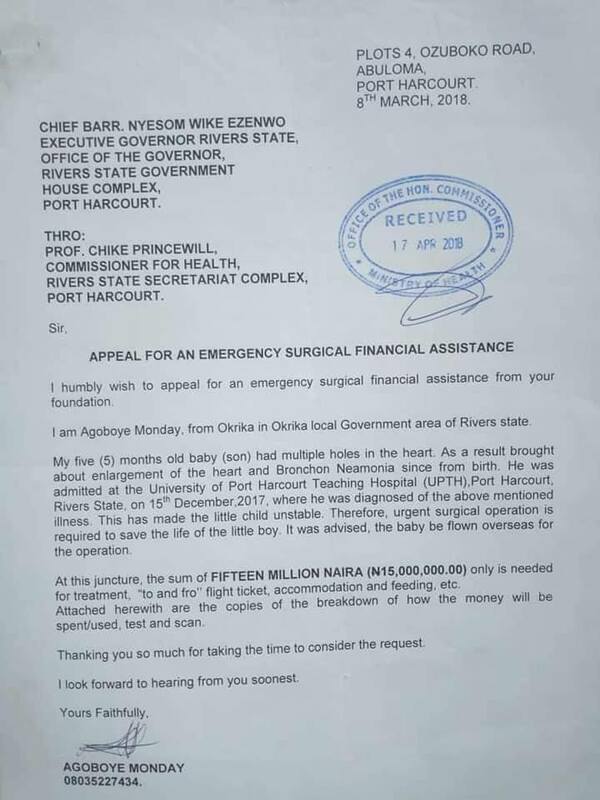 He said he has spent all his life savings on his child and needs assistance from well-meaning Nigerians. 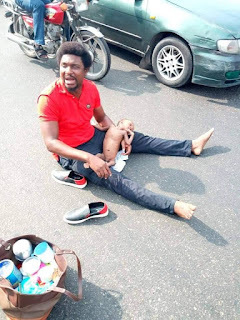 On Thursday, January 24th, he took his child to the Rivers state government house to see if he could by chance see governor Nyesom Wike, but the security officers chased him away. Agoboye shared photos of an appeal he wrote to the state government for help but up till now, there was no response. He says his son has only 64 days to live if emergency surgery is not carried out.